The V6: Celebrating the Good Life Luxe Provence Box features Ladurée’s Home Fragrance collection from Grasse for worldwide delivery, just in time for the holidays. 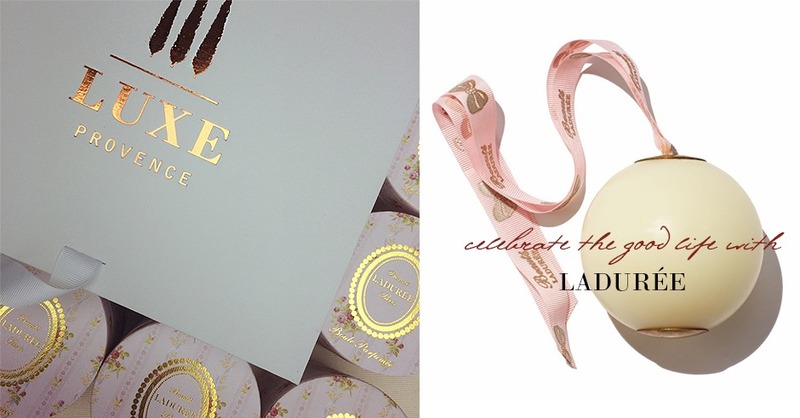 Aix-en-Provence, France –November 23, 2016 – Luxe Provence teams up with iconic brand, Ladurée, to create the ultimate French luxury gift curation featuring the brand’s prestige home fragrance collection from Grasse. 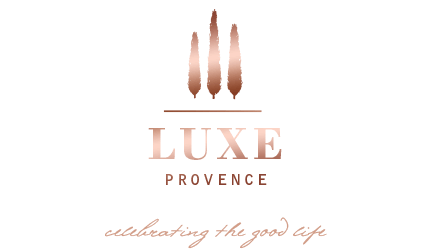 Luxe Provence specializes in curating luxury French gift boxes from Provence featuring hand-selected, artisanal objects for both home and lifestyle, along with epicurean and beauty products that incorporate the region’s natural ingredients and fragrances. The Luxe Provence Box ships four times per year with each change of season and features their own exclusive lifestyle collection created with the talented artisans and designers of Provence, along with highly curated selection of luxury products made in France. The V6 Celebrating the Good Life curation features the finest luxury and artisanal brands in Provence, including: Rose et Marius, Le Roy René’s Calissons d’Aix, artisanal ceramics from Atelier Buisson-Kessler and Myriam Aït Amar, plus a designer exclusive from PerlB. The Luxe Provence Box is available in limited quantities as either an Annual Subscription, or a single season gift parcel. The Luxe Provence Lifestyle collection is available exclusively in the brand’s online boutique or inside their seasonal surprise curations. Launched in August 2015, the Luxe Provence Box sold out quickly to discerning clients in the USA, Hong Kong, Singapore, Australia and Europe and is available for worldwide shipping, in limited edition. Visit the Luxe Provence Box Subscription web site to purchase either an annual or single season parcel to receive the beauty and luxuries of Provence to your door. Contact a Luxe Provence Client Representative for luxury gift box quotes or order enquiries for speciality retailers, events and boutique hotels. To learn more about our style, past parcels, and our passion for Provence, visit our popular lifestyle blog.